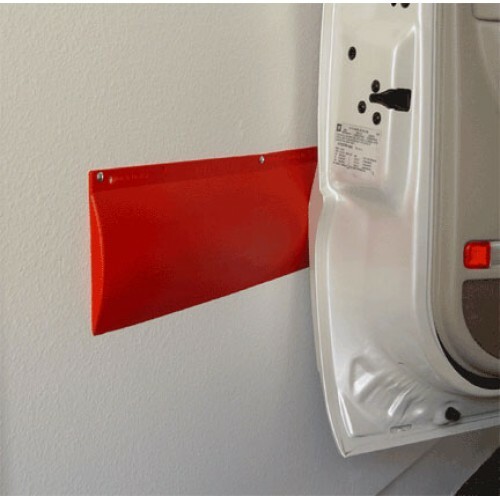 The Wall Guard measures 25"x 6.5"x 0.63"
The Park Smart Wall Guard is the ideal preventative measure against chipping and denting of your car's doors. 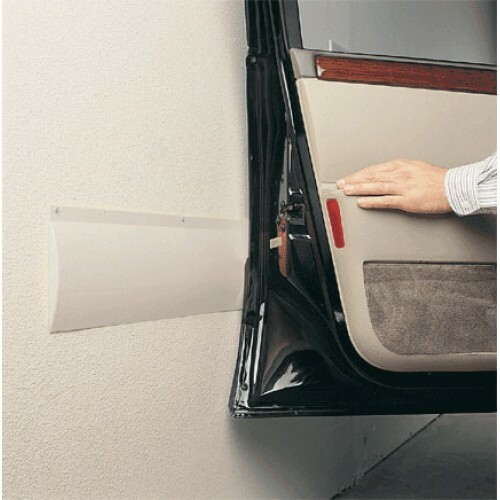 The unique design cushions the impact of the car door to protect both the car and the wall from damage. This durable rubber-like pad comes complete with all the necessary hardware to install to drywall, studs, brick and concrete. Holes are 16" and 24" apart for fastening to studs. Comes with a Lifetime Warranty. 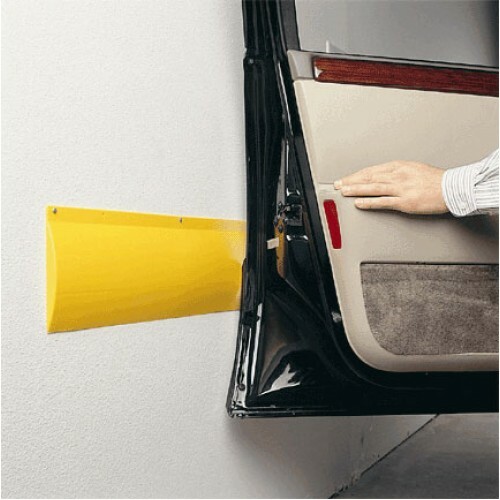 Available in clear, red, or yellow.